Recently, Kairan Nichols, an information technology intern at Cambridge Federal left for the United States Air Force. Kairan is a Cambridge local who graduated from Cambridge South Dorchester High School and was a student at the Dorchester Career and Technology Center. 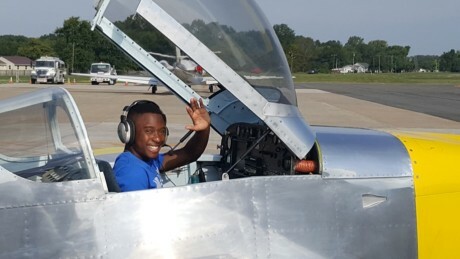 To celebrate the end of an internship and the beginning of a new chapter, Cambridge Federal arranged a plane ride for Kairan with the Aeronautics LoB Vice President, Michael Catron. Mr. Catron is an ex US Navy F-18 Top Gun flight instructor who took Kairan for a ride in his experimental airplane. The two flew together for an hour and Kairan really enjoyed his time in the sky. To learn more about Cambridge Federal please visit cambridgefederal.com. UPDATE: The Eastern Shore Innovation Center (ESIC) opened four months ago and is now at 80 percent capacity. The following businesses have signed license agreements and are part of the growing innovative community at the Dorchester Regional Technology Park: Cambridge Federal, Mapping Technologies, Dalcom Engineering, Garvey Environmental, Quevera, F.L Holdings, Purdy Group, and Patrick’s Northeast Kitchens. There are current negotiations with another new business. The Co-working space is now open with the first new member, SunXAnalytical, and a reciprocity agreement with other co-working spaces on the Eastern and Western shore. A Business Advisory Program was launched and held three workshops/seminars with more to come. 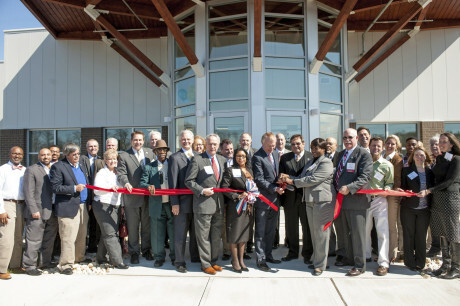 For more information on the Eastern Shore Innovation Center please call 410-228-0155. 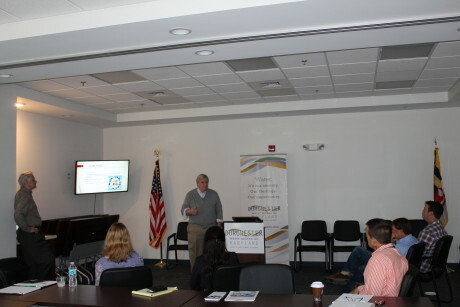 The Eastern Shore Innovation Center hosted a start-up mentoring workshop for its tenants through SCORE. SCORE is a nonprofit association dedicated to helping small businesses get off the ground, grow and achieve their goals through education and mentorship. Bud Cass, SCORE Chapter Leader and Ed French, SCORE Mentor, gave a presentation on the value the mentorship program can add to start-ups and existing businesses. Supported by the Small Business Administration with a network of over 11,000 volunteers and 320 Chapters nationwide, SCORE can provide free, confidential business counseling, volunteer mentors, and business tools. Business templates and inexpensive business workshops are also available. To learn more about SCORE please visit www.score.org. 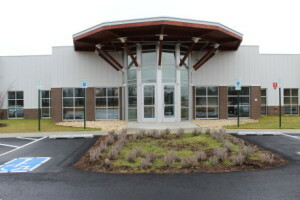 Continue reading "Eastern Shore Innovation Center"
The Dorchester County Economic Development Office (DCED) recently announced its relocation to the Eastern Shore Innovation Center in the Dorchester Regional Technology Park. The move was effective on February 5, 2016. Keasha Haythe, director of the DCED said, “We are excited to move into our new space that will provide the office and several other tenants the ability to network and collaborate in a business friendly environment.” The newly constructed Eastern Shore Innovation Center is 13,500 SF and is approximately a mile from DCED’s previous location at the Cambridge Dorchester Regional Airport. The new address is 104 Tech Park Drive, Cambridge MD, 21613. All contact information has remained the same. To reach the office please call 410-228-0155 or email info@choosedorchester.org.